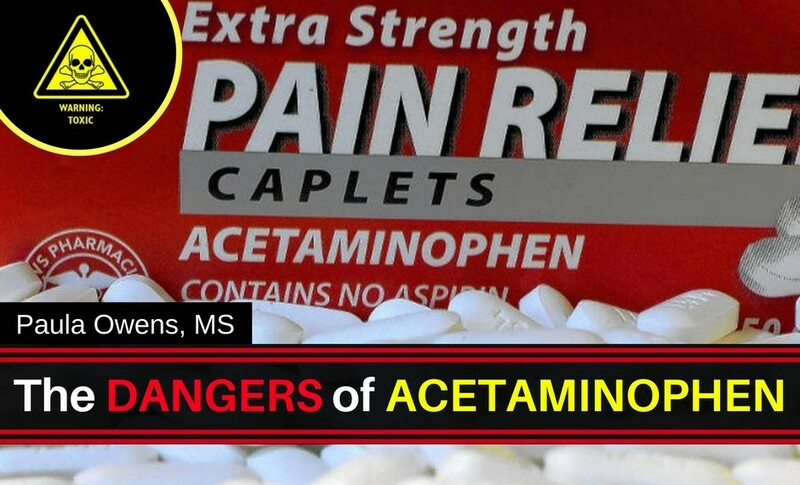 Acetaminophen is a pain relief drug found in a variety of over-the-counter medications and prescription pain relievers. Tylenol, the most common brand of acetaminophen in the U.S. and over-the-counter non-steroidal anti-inflammatory drugs (NSAIDs) are among the most sold pharmaceutical drugs worldwide. The active ingredient in Tylenol, acetaminophen is found in more than 600 drugs including many OTC medications targeted at children. Acetaminophen overdose is one of the most common poisonings worldwide. Eighty-six percent of emergency room visits for medicine poisoning involve a child who got into a medicine belonging to an adult. According to the American Journal of Medicine, approximately 107,000 individuals are hospitalized every year for NSAID-related GI complications, and at least 16,500 deaths occur. Liver toxicity; Acetaminophin (Tylenol) is the #1 cause of acute liver failure. Never take Tylenol after drinking alcohol. It’s a deadly combo for your liver and your kidneys. Acetaminophen and Heart Health. A study in the journal Lancet found that people who take high daily doses of NSAIDs increase their cardiovascular risk by 33%! A study in the European Heart Journal—Cardiovascular Pharmacotherapy reported that Ibuprofen use increases risk of cardiac arrest by a whopping 31%! Another study in the journal Circulation found that for people who had one heart attack, taking NSAIDs increased their risk of death by nearly 60% and risk of a second heart attack by 30%! Acetaminophen and Pregnancy. A study at UCLA in collaboration with scientists in Denmark and Taiwan found that use of acetaminophen during pregnancy is associated with ADHD. Fetal exposure to acetaminophen (Tylenol) increases risk of neurodevelopmental problems and endocrine disruption. Acetaminophen may be linked to emotional and behavior problems, ADHD and autism if used during pregnancy. Another study published in the Journal of Restorative Medicine found evidence that increased acetaminophen use in children appears to be a major cause of the epidemics of autism, ADHD and asthma. In Cuba, Tylenol is a prescription only drug. Could it be possible that the low rates of autism in Cuba are due to restricted Tylenol use? Never give acetaminophen-containing medications to your child or take it while pregnant or breastfeeding. 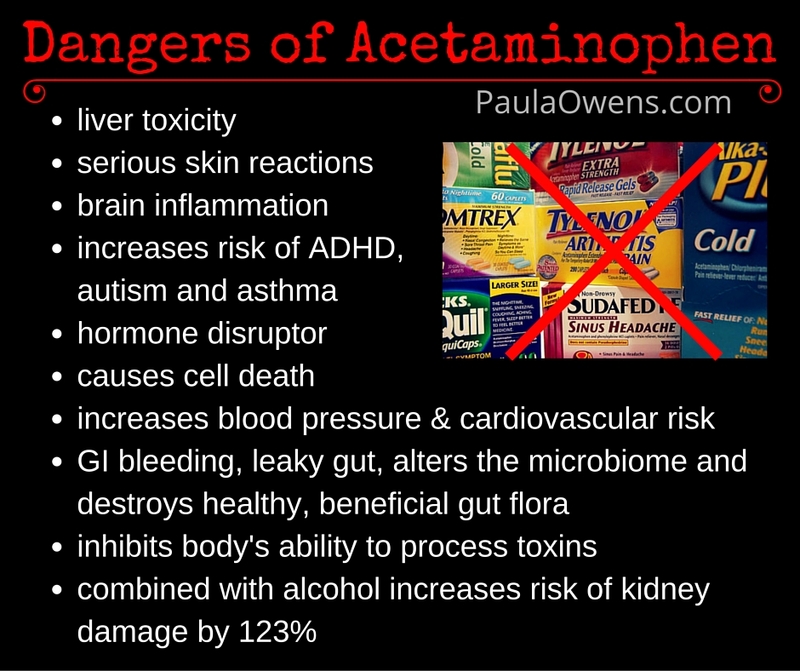 Never let medical personnel administer acetaminophen (Tylenol) to your child either. It’s the ‘go-to drug’ for many things from circumcision to vaccination in many clinics and hospitals around the world. Acetaminophen and Arthritis. A study in the journal Lancet reported that Paracetamol (Tylenol) is ‘not clinically effective’ in treating osteoarthritis pain or improving physical function. Americans consume 15 tons of aspirin a day – that’s 19 billion tablets per year! Although thought to be harmless, a single aspirin will be responsible for 1500-2000 deaths! GI bleeding. A study in Clinical Gastroenterology and Hepatology reported that even low-dose aspirin (as low as 75mg daily and up to 325mg daily) increases the risk of gastrointestinal (GI) bleeding. It also increases the risk of micro-bleeding in the brain by 70%. An anti-inflammatory diet. Ditch the inflammatory grains, gluten, sugar and rancid frankenfats. Stop eating chemicals! Stay hydrated with clean, filtered water! Turmeric (curcumin). A study published in the Journal of Alternative and Complementary Medicine found 2,000mg of turmeric extract was as effective as 800mg of ibuprofen in reducing symptoms of pain and inflammation. What is more important when dealing with chronic pain and inflammation is to identify the root cause.